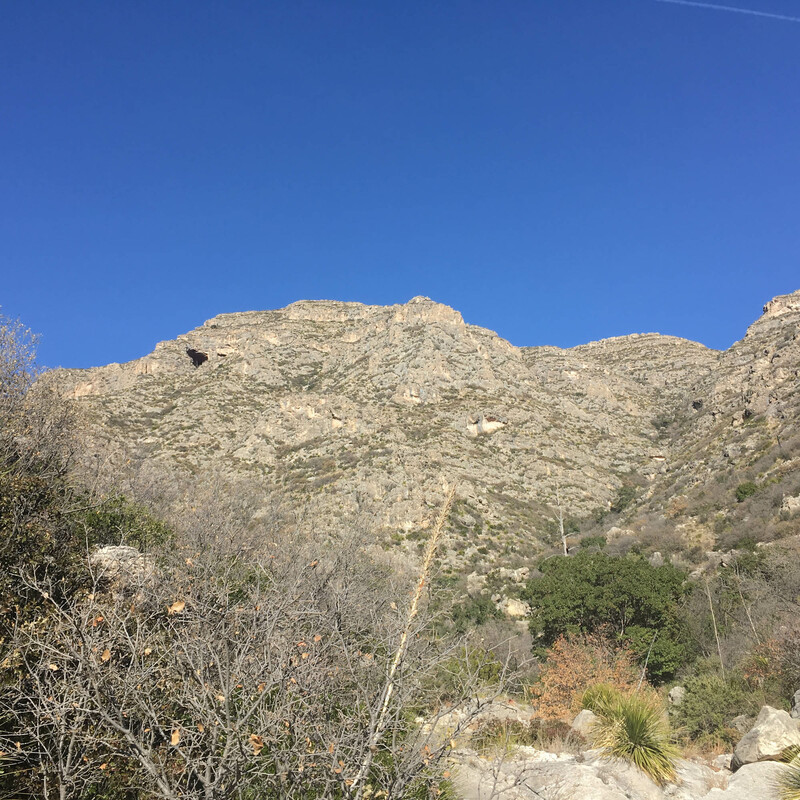 This is a trip report from a hike I did over the first few days in January 2018. Attached are pictures of the google earth tracks. 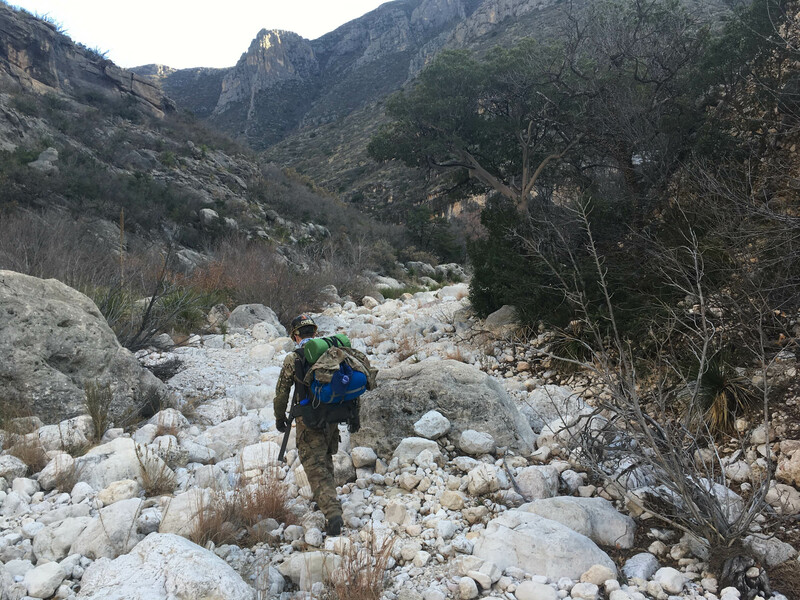 The goal of the hiking part of the trip was to explore the Guadalupe back country via off trail. 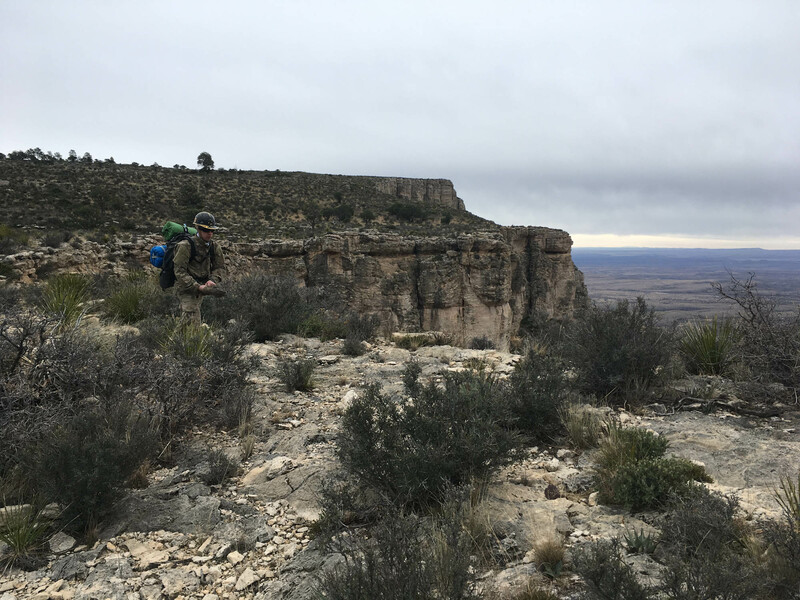 We would start on a defined trail down a spine/ridge above Gunsight Canyon, drop to the canyon floor, follow the river bed out to the desert and hike south along the foothills on BLM land. From there we would make our own connection to the Lonesome Ridge (Wilderness Study Area) via the Golden Stairway trail. The Golden Stairway climbs up to the northern ridge of Big Canyon just south of Calamity Cove .The trail appears on the BLM website and some older topos. However, after talking to the BLM we were told this trail was not maintained and dangerous due to loose rock. We wanted to hike back up Lonesome Ridge trail and circle back north to the fire look out. At the very end of Lonsome Ridge where it meets the Golden Stairway trail there is a proment sink seen on satellite that we wanted to investigate while hiking. We started our drive to Carlsbad and turned north to enter the forest via the Queen’s highway. 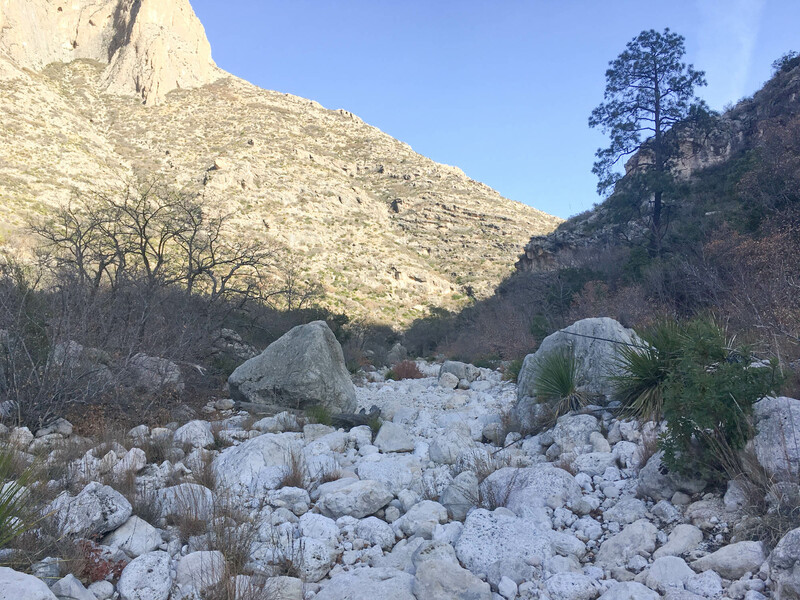 We planned to camp at the bottom Guadalupe Ridge near a dry river bed close to the junction of 69A/69 and CR412 (Kondike Gap Rd). This campsite usually has plenty of wood and some trees to provide shelter from the wind. We started driving in to the higher elevations of the mountains and the temps dropped into the 20’s. This was much cooler than the forecast in Carlsbad, which was to be expected. We had plenty of cold weather gear to make it through the night. We set up our tent and took time to boil some water and poured it into our water bottles. These were placed into the foot portion of our sleeping bags to provide additionaly warmth through the night. This was a technique Chris and I had used several times while winter camping in Colorado. In the morning we checked our thermometer and realized it had dropped to 5 degrees. We were in the shade from Guadalupe Ridge so we decided to pack up quickly and have breakfast in the sunlight at the top of the ridge. We drove up 69A to where it becomes 201 and parked at the fire look out and began to build our packs, reviewing gear checklists and double checking water volumes. For clothing I told Chris to wear tough tear resistant fabric because everything in this desert landscape is sharp. Especially the Karst features. 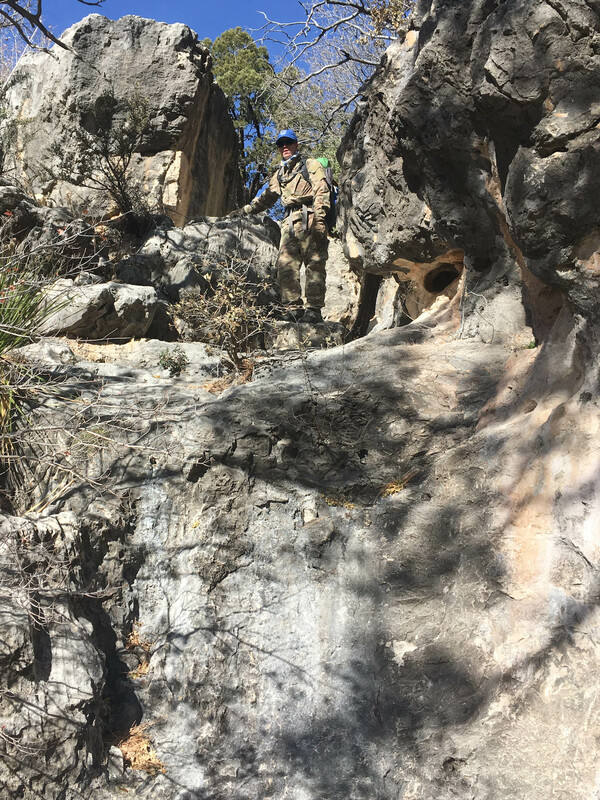 So we both ended up wearing some form of surplus military gear including pants and long sleeves, leather gloves and rock climbing helmets for safety when climbing down the canyon. By this time the weather was turning out to be beautiful with temps climbing into the 60’s. 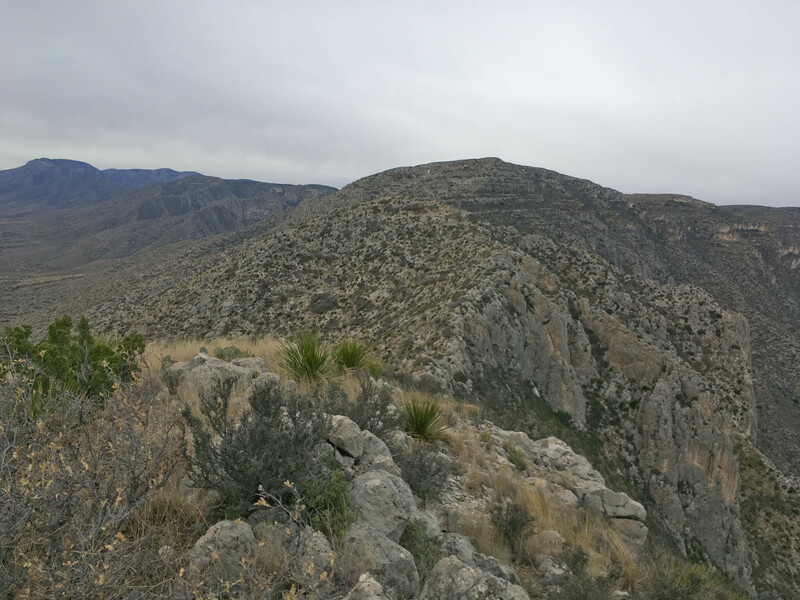 We headed NE along the Guadalupe Ridge. We passed the turn for 3004 and continued to the first right opportunity off of 201. The trail we were now on went south and passed some nice camping sites that had built up fire pits. The trail now only wide enough for single file went through the brush towards the SW. It was fairly easy to follow. We had brought topo maps in addition to pre-loaded topos on our cell phones . Even with cell service disconnected we could use the built in GPS to track us on a pre-downloaded area of Google Maps. This was Handy! I also had a National Geographic topo of Lincoln NF and Guadalupe National Park as well as a hand held Garmin eTrex GPS. 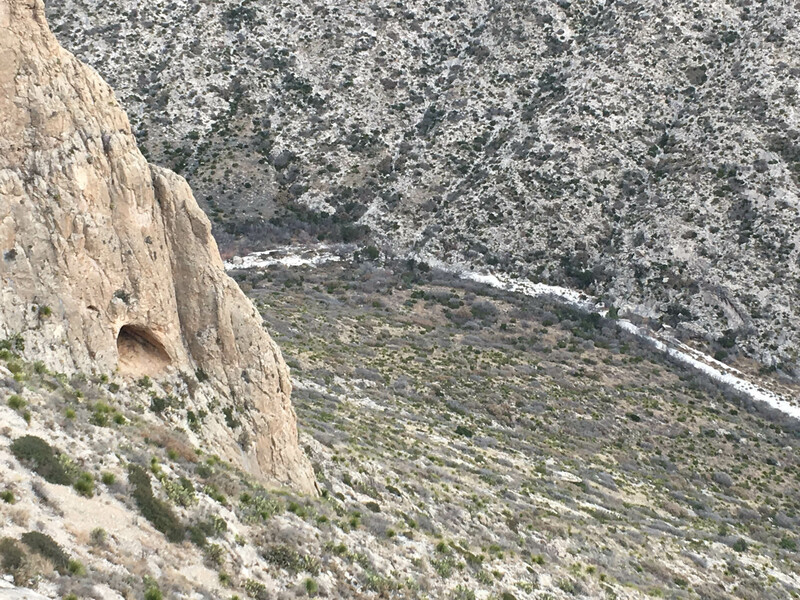 This trail proceeded south and then SE along the ridge above Gunsight Canyon. 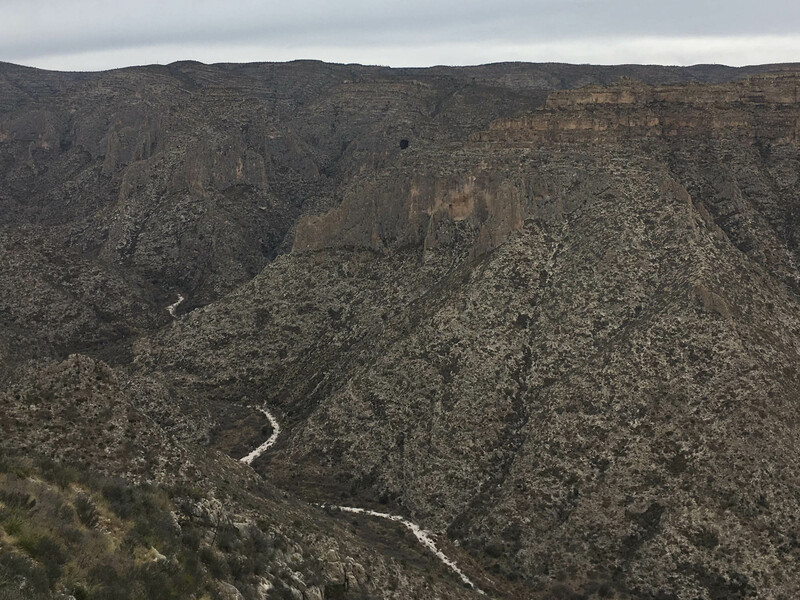 This made for some great views as the drainage ditches descended below us to eventually become the canyon floor. 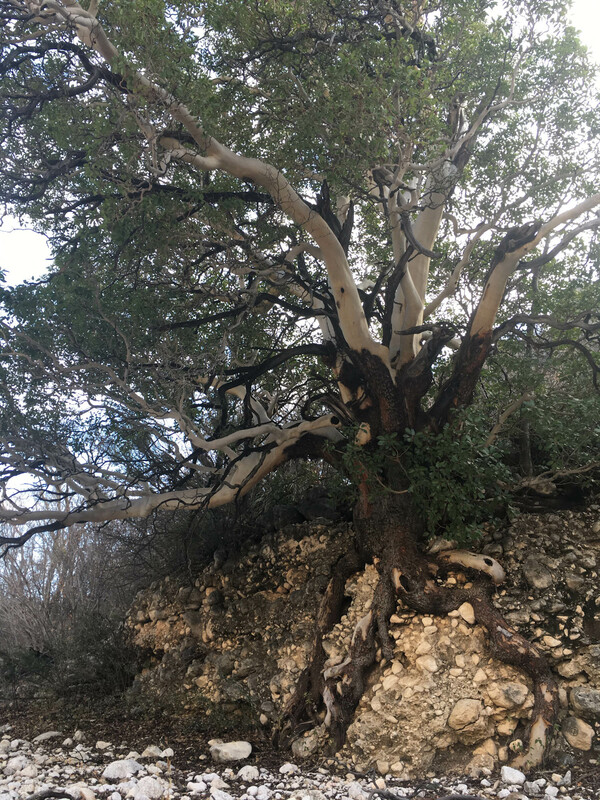 We continued hiking for about 3 mile as the trail clung to the edge of a canyon on our west side. We started to lose sight of the trail we had been following. This was due to more rocks making up the path below us and less vegetation to demarcate a worn path. There were no cairns for reference either. The terrain at the end of the trail was becoming very steep off to the canyon to our west. Not wanting to risk injury or waste the short hours of the winter daylight we decided to keep moving. We had to how to drop down into the canyon. By now the canyon was ~700’ below and the mountainsides were fairly steep. While reviewing the topos we knew there were several options. We decided to follow a drainage ditch immediately to our east. This started as a shallow depression and we knew exactly where it terminated as we looked down below. 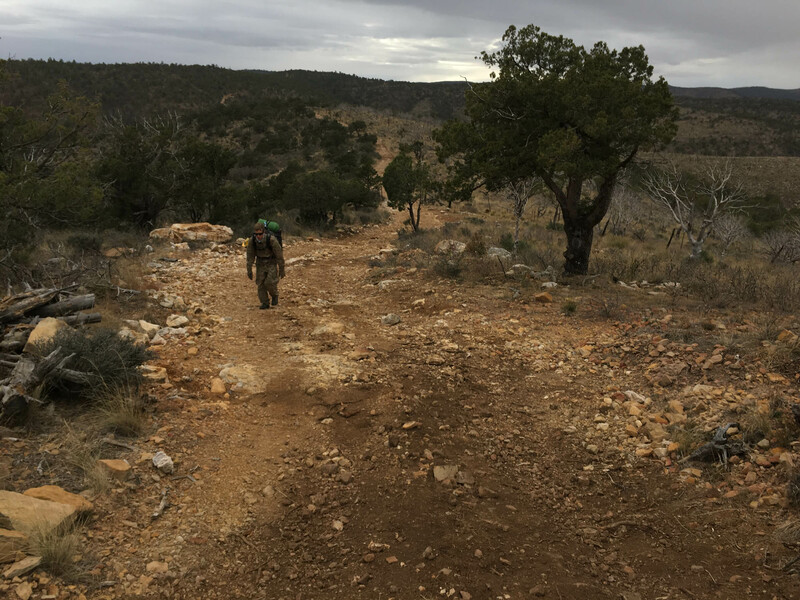 As we began to start the decent we walked up on some aoudad. They were spooked by us and with great speed they descended the ditch 40’ down and up the other side in a matter of seconds. This descent was not easy and required lot’s of scrambling. We were able to maintain 3 points of contact for most of the descent. A few times we had to assist one another down. The drainage we were following was dropping at a 40-60 degree inclination. It probably took us an hour to make the climb down. The rocks punched some holes in the bottom of my sleeping bag as a slid on my bottom down some steeper boulders. Once to bottom we took a break and snacked. We had a few more miles to cover to get to where we wanted to camp. It was all along a very shallow descending river bed. 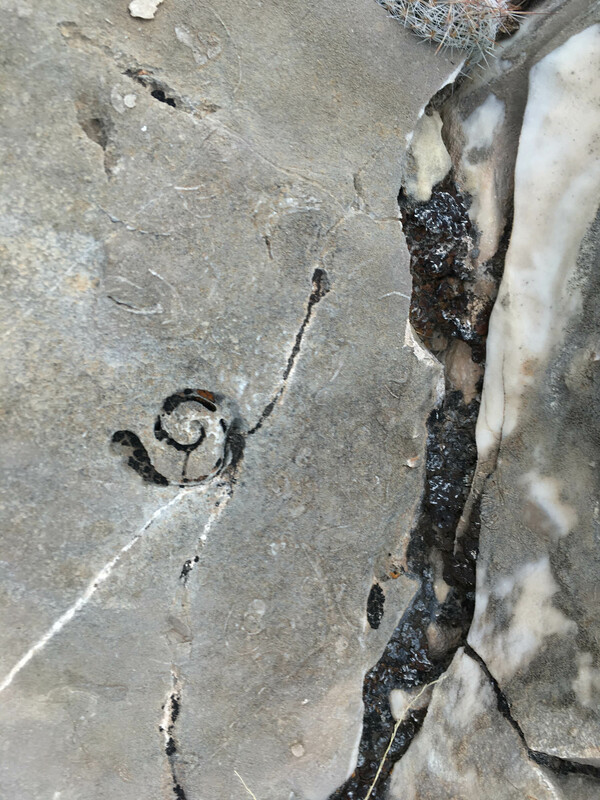 Following the stream bed it weaved us in and out of the shade of the huge canyon walls towering above us. As we rounded one final curve we could spot the desert floor out to the east. Near the end of the canyon along this NW/SE extension of the river we decided to camp. We arrived with 2 hours of sunlight left. As we were gathering wood we walked up on two elk! I had no idea they lived in this area of the mountains. At this point there were essentially living at the junction of the escarpment and the Chihuahua desert. Chris and I gathered wood and set up our campsite for the night. We were feeling a little worn out and didn’t want to expend any energy trying to see Frank’s. We relaxed for the evening by the fire and had a warm meal. I stayed up after dusk and took several photos of the canyon at night with the moon up. I woke up early the next morning and watched the sunrise. Overnight temps that night and the rest of the trip were in the 40’s! We reviewed the topo maps and decided to modify our route. This seemed necessary after hearing about the dangers of the Golden Stairway trail. There is a prominent ridge above Franks that extends as the edge of the escarpment that generally trends to southwest. 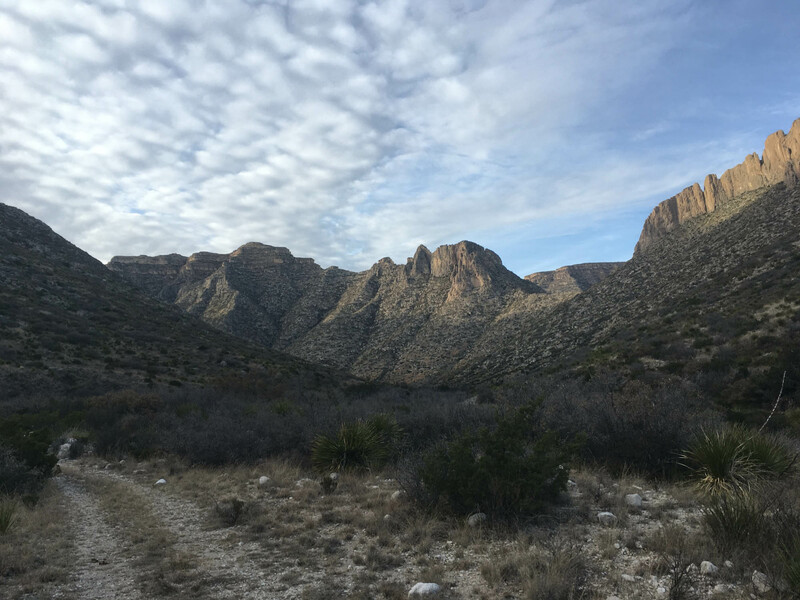 For those unfamiliar to the Guads the mountains continue in that direction to the southern terminous around Guadalupe Peak and El Capitan. 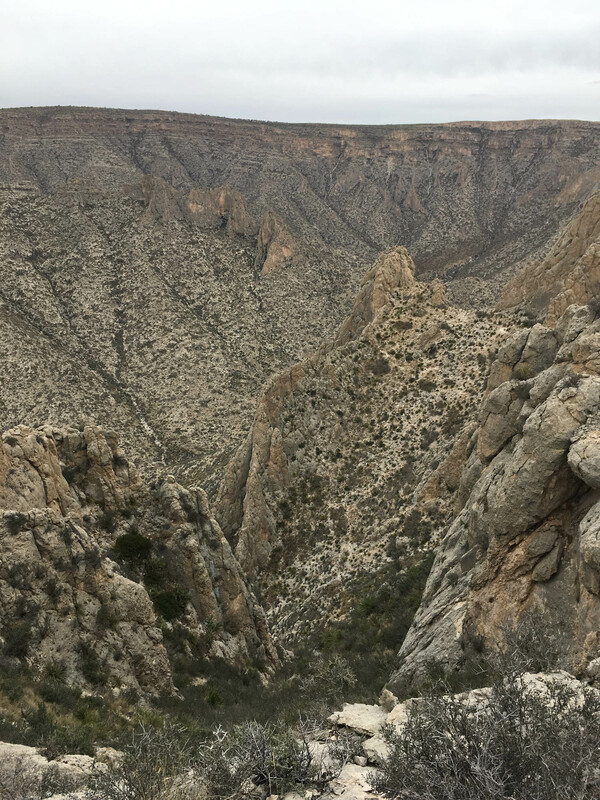 This ridge above franks appears to be flat in elevation all the way to the perimeter of calamity cove and finally to the north ridge of Big canyon. At that point it’s called Lonesome Ridge. I had originally wanted to climb above Franks via the north slope but it appeared to be very steep the final hundred feet. We found a spine up to the ridge top at the very exit of the canyon. We hiked the final quarter mile out of the canyon, south and up to the spine. The rocks and desert vegetation was fascinating. The ascent was gradual initially. We hiked northwest with the canyon mouth on our right and the foothills to our left. The view to the right became impressive as large bowl feature became apparent with a steep rock wall above. Looking up it became apparent that we would have to do some scrambling. We jumped off the spine after ascending 1000’, still 400’ from the ridge top. Per the topo map it appears that there was some flat land terrain at the top of the ridge. The final 400’ was mostly a bear crawl. This was a demanding climb and my legs began to cramp. I wish I had hydrated much better the days before! 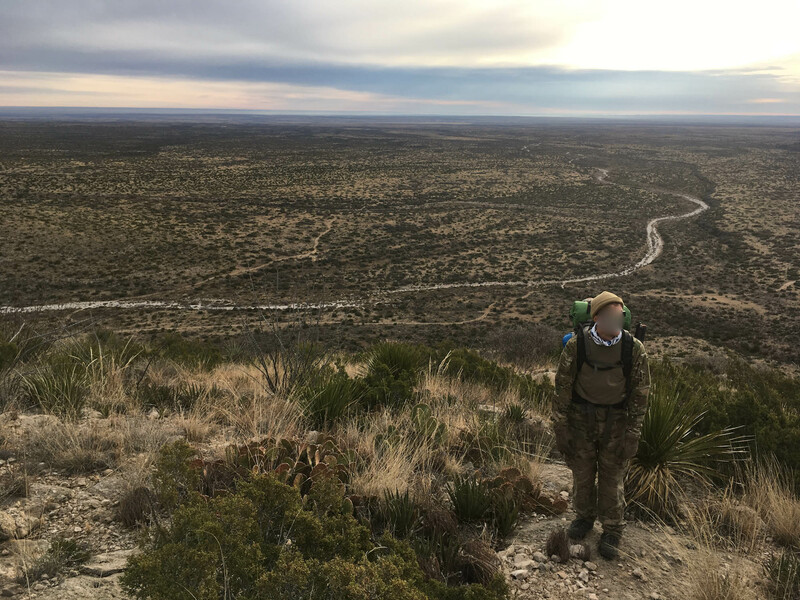 We finally made it to the ridge top and could look west into the canyons or east out to the vast desert below. The ridge was more of a spine several feet wide. We began tranversing it as our only route to the SW. At times it was probably only 3’ wide with steep drops on either side. The rocks were very stable with some vegetation of dead bushes. We had minimal ups and downs for the first half mile. We were at 6200’ elevation and looked out and ahead and saw another climb up another 300’. There did not appear to be many route options as we surveyed the terrain. There were a few benches that looked like they might allow us to summit this next ridge. Our worst fear was getting boxed in by steep cliffs! We moved cautiously along a few benches and were able to climb to the top of this ridge. Once at the top we were on a much wider flat ridge top that allowed easy travel to the west. This flat area was probably 30-40 yards wide. We followed it and realized it was beginning to narrow again. We began to worry about potentially being pinched out from accessing the next ridge. The path did narrow but remained wide enough to pass to the next wide flat ridge top. Again we traveled west as we navigated Calamity Cove. 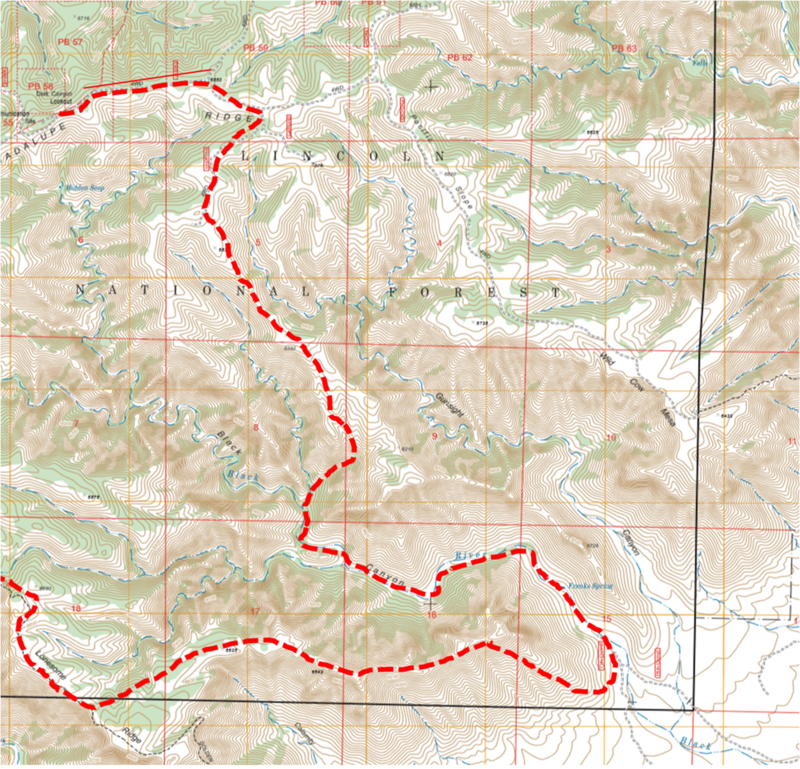 We would then need to round it out and hike south to Lonseome Ridge. The ridge in front of us appeared to drop out to 100’ below. We hoped for an easy passage as the brush hid the route. The drop turned out to be of no concern as our route gently sloped down and around the ‘cove’. This cove was a steep box canyon that dropped 1300’ in elevation in a very short distance. On our right we continued to look out towards the Black River canyon and could see the watch tower in the distance. As we rounded to the south on the terrain flattened out and was fairly easy to hike through. Lot’s of short trees, brush and tall grass. I was cramping pretty bad and had to stop several times to stretch. Feeling miserable I took some painkillers. We were still at least 7 miles from the car! We were feeling a too tired to investigate the nearby sink hole. We continued heading due south knowing we would eventually hit Lonesome ridge and what we expected to be a nice trail. It was becoming early afternoon and the clouds began to move in. The wind picked up some and the rain began to fall at a steady rate. The temps dropped from the 60’s into the 40’s. We hit the ridge andbegan hiking along it to the north west. The view of Big Canyon was impressive! We were at 6800’ and the dry streambed below was at 5200’. As the crow flies it was only 4 tenths of a mile away so we were on quite the cliff. The ridge was very rocky with some short brush. We found the trail and for the next several miles we were on it and then would lose it as it departed from the cliff’s edge and into the brush. It was apparent this trail is rarely traveled. During the wind and rain we got off the trail and heading in the wrong direction for several hundred feet. We stopped gained our bearing with the map and got back on the trail. The weather cleared up and we continued on lonesome ridge trail towards the trail head parking lot. Once we attained that spot my spirits improved as the rest of our hike would be along 4x4 roads. 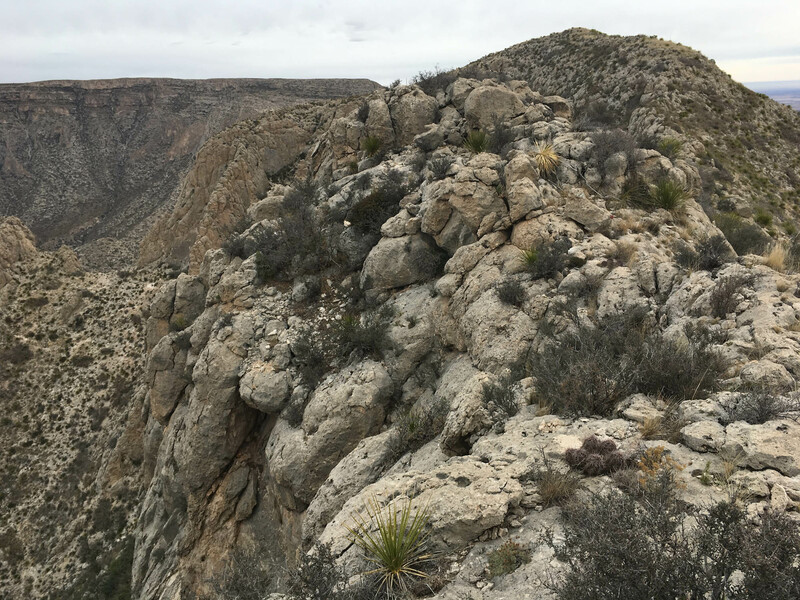 Chris and I talked to each other to take our minds off of some of the pain and tiredness as we made the final trek back up Guadalupe Ridge to our car. We had been so excited about talking we missed the turn for an old mining site I wanted to show Chris. It was a vertical shaft that intersected a cave. It was since rehabilitated with a copula for bat protection. Looking back we had started hiking at 6900’, descended after 2.6 miles to 5140’ and camped at 6.5 miles in at 4800’. The next day we climbed to a high point of 7,070’ and made it back after a total of ~16.5 miles. Total trip time was probably 27-30 hours. Thanks for the report. Sounds like you two guys had a memorable adventure! Did you carry all your water or did you fill up along the way? We packed all of our water for the trip. With the cooler weather we managed to make i on about 4 liters each. I intended to look at the black river spring but completely forgot. Great report, got any pics to post? Fantastic trip! I'm trying to follow on Google Maps. The satellite view is of course photographic, but the map view I've never found to be very detailed, and both often lack, or are slow to add, place names. It seems clear you came down from the north on the ridge separating Gunsight Canyon, to the east, from Black Canyon on the west. About halfway down this ridge you bailed off to the right, west, down a gully to the floor of Black Canyon, then continued down the bed nearly to the mouth of the canyon, where you camped. In the next morning's activity, there is repeated mention of "Frank's". I assume this means "Frank's Spring" which shows up on Google Maps as being in Black Canyon just beneath the rock eminence that forms the "gunsight" on the ridge between Black and Gunsight canyons. 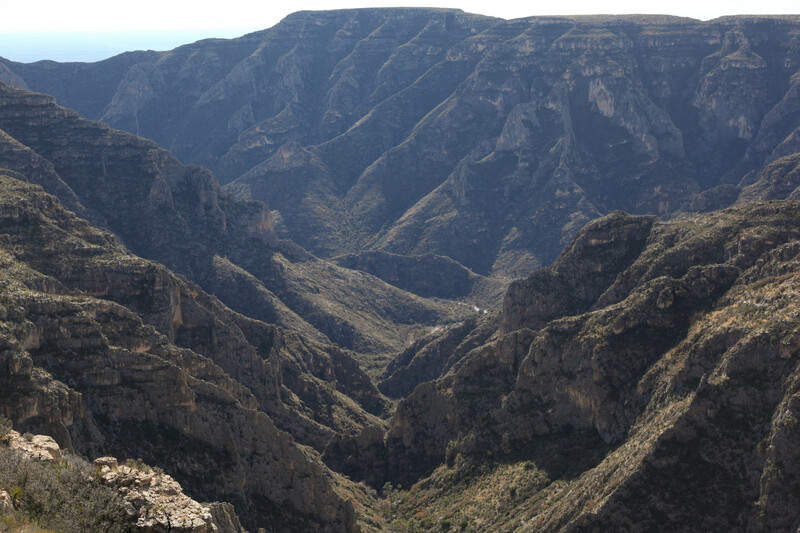 There is also a "Frank's Canyon" but Google shows it as way up Black Canyon, above where you came into Black Canyon. So I was confused when you said you didn't want to expend any energy seeing Frank's. You must have passed by or camped near Frank's Spring. Was there water there? Would love to see some photos! Very nice sir. Let us know about Frank's Spring. I am curious as well. That ridge man! It looks incredible. Really awesome route you put together through some gnarly terrain. Nice report! Sounds nice that yall were able to have a fire. Would also love to see some pictures. Topo map of the hike. The last bit of the hike was back tracking down the forest service roads, 3010 to 201. Frank's is a spring name on the map but at this time of year there was no water to be found. Calamity cove is a box canyon on the bottom of this topo. A view from our camping spot. The 4x4 road goes slightly further into the canyon. There are remnants of an old ranch here. We found no spring, but there was piping and hand pump for an old water well. It no longer worked. Ignorantly, we were not aware of any fire restrictions at the time. There are a few nicely built up fire pits with bricks. 2nd day after we gained the top part of the ridge above Franks. 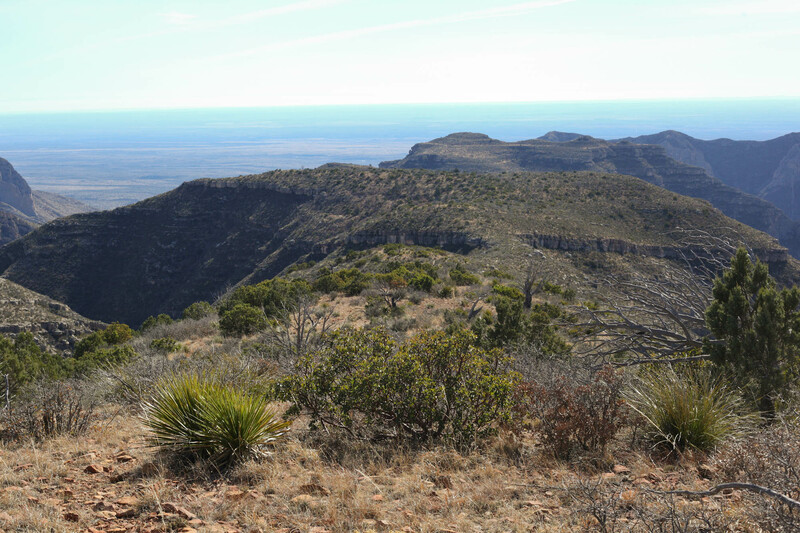 Looking SW toward Wilderness Ridge/Permian Reef Trail area in TX in the far left part of the photo. About halfway up the ridge and looking down on the area near where we camped for the night. Rounding out the last bit of FR 201. Awesome! Thanks for taking the time to post your photos. 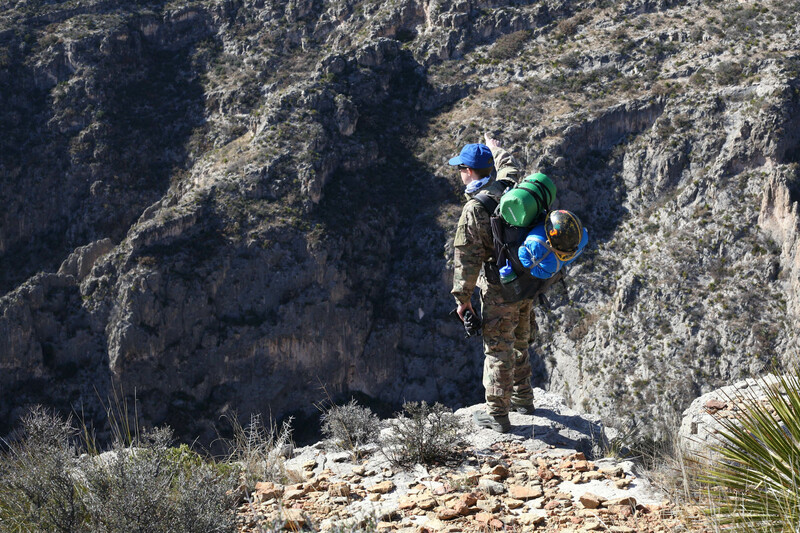 That country looks familiar from trips I took up that way to Sentinel Cave and Gunsight Cave many years ago. 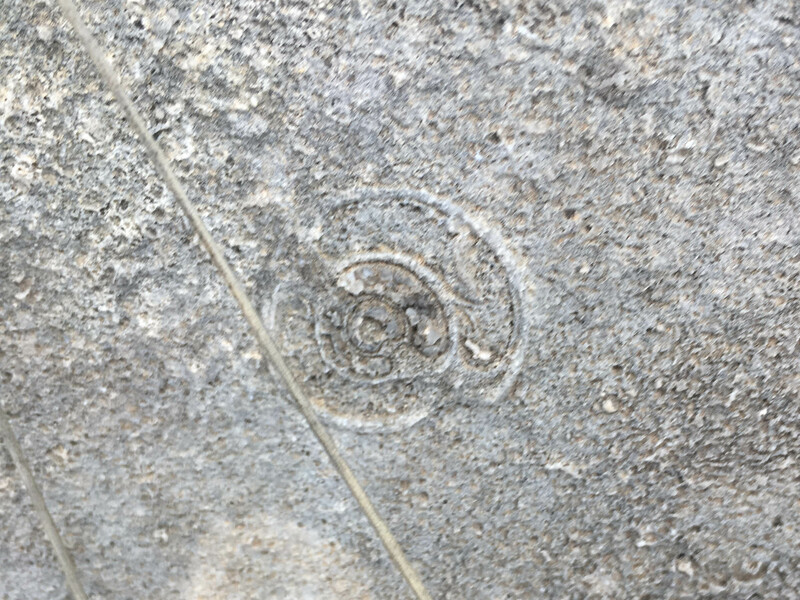 I see part of the Golden Stairway Trail on your topo. The Golden Stairway must be pretty bad if it's more difficult and riskier than your alternative route! AWESOME pictures. The views of Gunsight Canyon were amazing. Very rugged. That off trail looked steep! Thanks for sharing. The 3rd picture (counting from the topo), "View looking down Gunsight", and the 5th picture, "The far ridge is where we would be hiking the next day", are the same, #1029. This is looking south, down into Black Canyon and its south rim. In picture #6706, the dark spot in the upper center is probably the mouth of Gunsight Cave, an enormous opening.